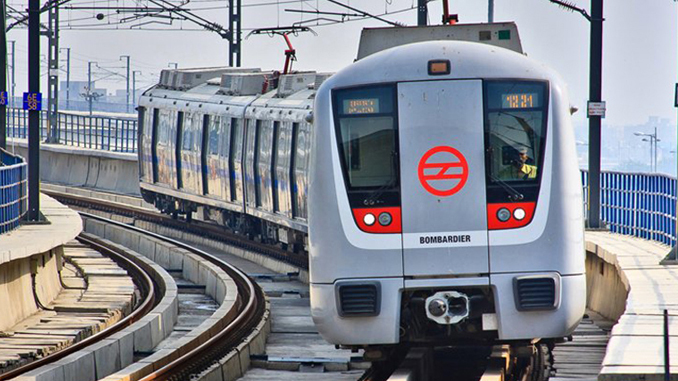 New Delhi: Five Delhi Metro stations will be developed on Transit-Oriented Development (TOD) policy. The Five stations which have been selected for the pilot project are: Dwarka Sector 21, Dwarka Sector 18, Mukundpur, Mayur Vihar Extension, Sarojini Nagar and INA (combined). Following the directions of the Ministry of Housing and Urban Affairs, Delhi Development Authority (DDA) has sought comments on the proposed amendment in the Master Plan for Delhi 2021 incorporating several provisions on TOD policy. TOD integrates land use and transport planning and aims to develop planned sustainable urban growth centers, having walkable and livable communes with high density mixed land-use. Initially, the DDA had approved 2 TOD projects at Karkardooma and near Sanjay Lake in 2014 and 2015 respectively. It had tasked the NBCC (National Buildings Construction Company) for the implementation of projects. TOD schemes of area lesser than 1 Hectare but no less than 3000 sq. m. (contiguous) may be accepted only for land parcels, according to the proposed amendments. It said, all bus depots, terminals within Influence Zone of MRTS (Mass Rapid Transit System) corridors excluding in Zone-’O’ to be developed as per TOD norms except for those corridors lying within Low Density Residential Area (LDRA) of Urban Extension. It said, ISBTs within Influence Zone of MRTS corridors to be developed per TOD norms except for those corridors lying within LDRA of Urban Extension. The TOD policy was notified in July 2015. It is aimed at sustainable development around rapid transit facilities such as Metro.